When you think of external memory, you likely think of SanDisk. That’s because the American manufacturer of flash memory products has solidified and cemented itself as one of the leading companies in that field. So, with a SanDisk purchase, you are guaranteed quality. Now, thanks to these deals, you are also guaranteed excellent value for money. We all need a little bit of additional flash memory in our lives. Most of us have smartphones, tablets, laptops, drones, and digital cameras which could all benefit from a storage boost via external means. That’s why companies like SanDisk exist and why they pump out excellent and highly reliable hardware. If you do indeed need a little additional storage in your life then you definitely need to be checking out all of the SanDisk memory deals below. 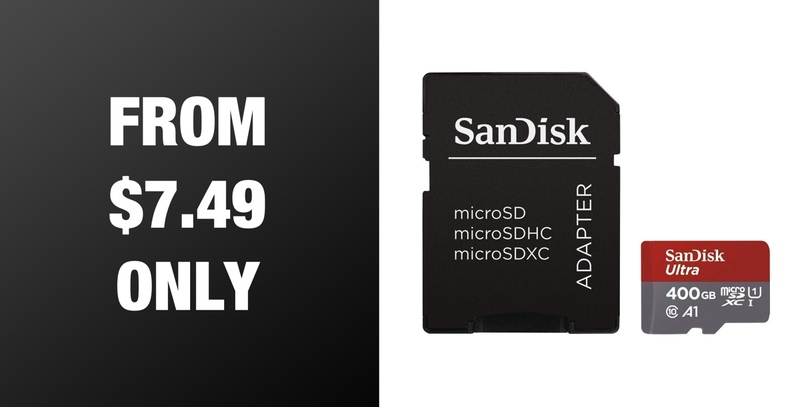 The cards all come with the SanDisk quality that we have come to expect, an impressive discount, and each includes the relevant adapter to offer additional diversity and the type of devices that the card will offer compatibility with. 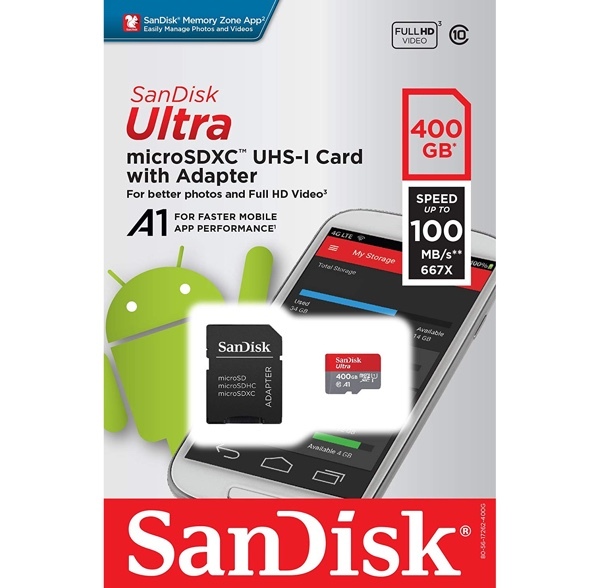 The huge 400GB memory card comes with an equally huge 63% discount, which cuts the cost from $250 down to just $92.29. That’s an insane deal by any stretch of the imagination. If you are interested in any of the products above – either for yourself or a loved one – then make sure to act quickly as the deals could expire at any time. Keep in mind that if you have purchased any hardware as a gift – such as a drone or a digital camera – then it’s worthwhile checking to see if you do actually need this additional purchase to expand its memory.